Anna Marcello is an Italian actress based in London famous in her homeland for the film “I Viceré” by Roberto Faenza and for many theatre roles. I have already two times on two different occasions. The first time we ran across each other in London in December, 2013, when the actress was about to prepare a play “Three and a half”, and the second time, in October, 2015, in Rome at the Rome Film Fest. Anna is always full of good energy and easily charms everyone around her with a beautiful and contagious smile. As we speak about Richard Blanshard, an English cameraman, producer, writer and photographer (see also article “The Cannes Festival & Movies Stars Portraits from 1975-1995”), I never met him in person which I regret. The famous filmmaker is living in the UK but very often works in Hollywood or abroad, in Europe. 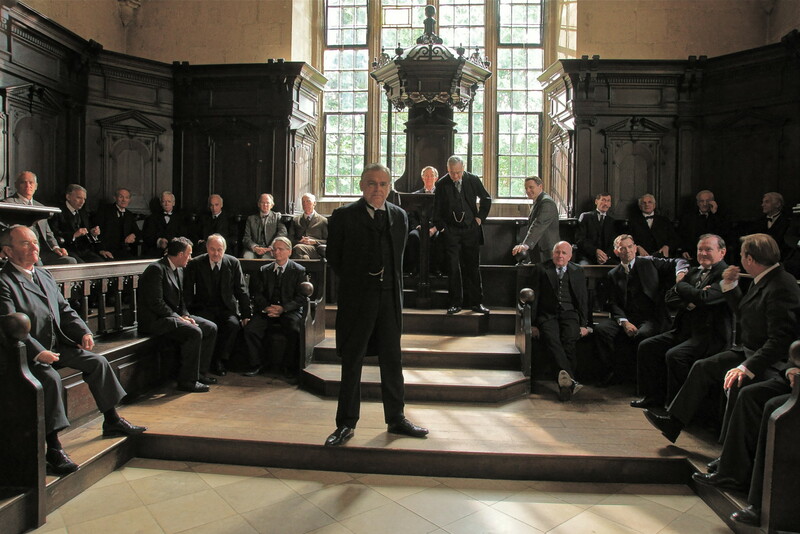 During the last two years, he was working as still photographer in Kazahstan for “Sow the wind” and in England for “The Man who Knew Infinity” alongside Jeremy Irons and Dev Patel. Anna and Richard have a curious story to tell. They met each other in London where the idea of doing together “I love you”, a short movie, was born. This autumn was the first time I interviewed two people simultaneously online. Directly from Great Britain, the two artists talked about their present and future project “The last moment” and about famous collaborators and they added a few words about love. It was an unforgettable experience for all of us. Anna Marcello (starring with Paolo Gasparini) and Richard Blanshard (director, camera man) on the set of “I love you” (2015). In the other roles are Anna Elena Pepe,Yurj Buzzi. Staff includes Francis Belmonte as Second director, Edith Simon Make up Artist and Matthew Uryzaj Sound department. Under which circumstances did it happen to meet each other? RB: An assistant producer who had worked with me in Florence suggested to me that Anna realize this film. He called me because I had worked previously with Italians and I could understand their sensibilities. 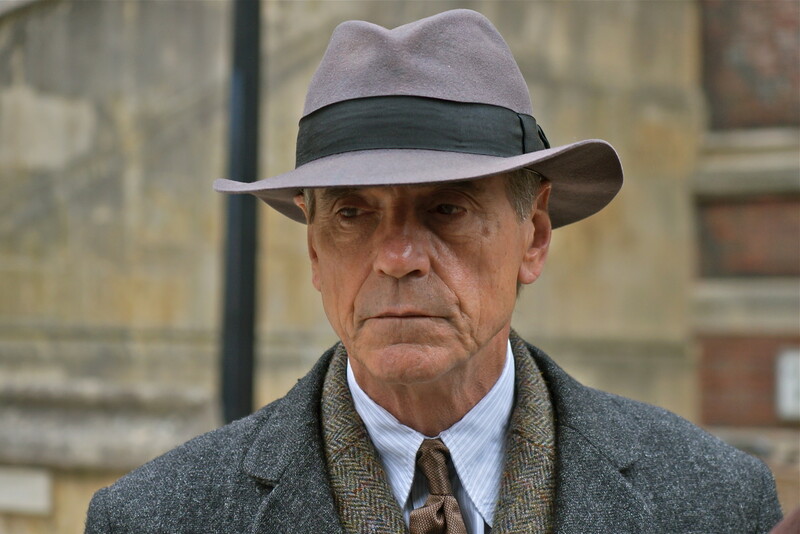 Well, I had worked with Bertolucci and I also have lived in Rome for some time. AM: I will tell you more about the circumstances. 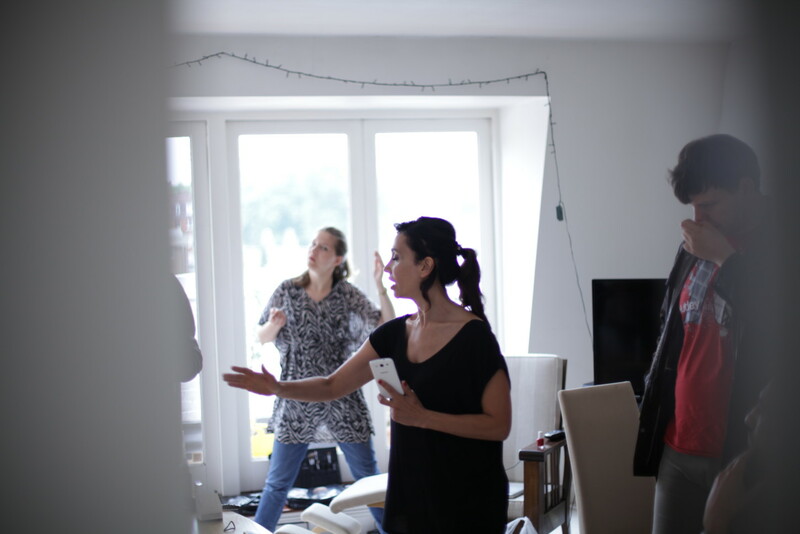 In London, we, Italian actors and BTV Studio and AM production, were in the process of preparing the short film “I Love you” and we also were looking for a good director. I asked a journalist, a friend of mine, Marco Colombo, if he had someone to reccomend. He gave me the Richard’s email. I immediately wrote to him and he said, a few hours later, that he had never shot a short film, but the script and my determination had removed his doubts. After several attempts, he agreed to do it. Richard, how could you describe your collaboration with Anna? RB: Anna is driven and full of life. She was very excited about making this “I love you” idea but she needed help to make it happen. And you Anna, how did you find working with a professional like Richard? AM: I must say that his professionalism has shocked all the cast. Although it was a short low cost film he behaved as if it were a feature movie. The actor Paolo Gasparini, starring with me, was joking: “We are on a the set of Scorsese”. We had serious production problems and we had to film with other machines that were not the initial ones but with Richard, regardless of the many obstacles, everything was always there in the right place, so never gave up. Yes, your professionalism, Richard, was impressive. Do you intend to work on other projects together in the future? RB: Of course, it would be great. I only want to add that we made “I love you” with nothing and it is always hard to make films when you are restricted because of no budget and no equipment, but just depend on good feelings from actors. It was a compromise. AM: “The last moment” is our next project but now it is still being prepared. The only thing I can say for now is that Bob Turano, American actor paired with Ernesto Mahieux, Luca Lionello, Lidia Vitale and more will be starring. It will be directed by Ciro D’Aniello, a young director who mainly works in RAI (Rome) and that for the first time will work in cinema. We have an international film crew and a very high level. Richard didn’t say a word but he also will be with us. I can not say more for now. Who had the idea to realize this short film? What was important in making it? AM: A friend of mine, mentioned before, director Francis Belmonte one day contacted me and said: “I have the tools to make a film, can you have a script fast?“. I had this idea that he liked and then I started to write with him a screenplay that in the end was readapted by Richard and that is how “I love you” was born. RB: Yes, I would only add that I liked the idea of looking at a side of life that exists in London today. It is quite a fake ugly side of life based on a real story. What is the message of “I love you” and what do you think about real love? RB: I think it is all about the appearance of being in love with others. I think real love is hard to explain because for each person it is a personal thing. AM: It is a modern-day story of a couple. It talks about this beautiful couple that seemed to be in love but in the end went out of control and fell into a vortex between reality, drama, betrayal and hypocrisy. The location was London, where you both are now based. How do you find living here? RB: London is a great place to be as a filmmaker. We are so fortunate to have a great industry and many talented people to work with and to share knowledge and experiences with. AM: I still work between Italy and England. Living in London does’nt mean I left. I did it for other reasons and I can assure everybody that many Italians that go abroad are fleeing from there to come back here. I am just going forward with my career in London. Anna Marcello photographed in Rome by Carlo Bellincampi with make up by Iwona Czarnota in Guess campaigne by Oretta Corbelli. Breaking news – now the actress is working for Alpitour in Italy and very soon will start a new movie and tv project in the UK. 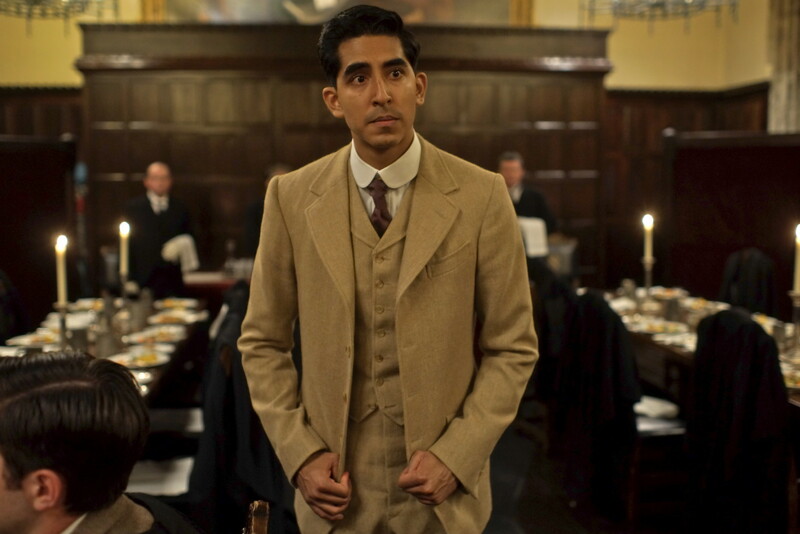 Richard Blanshard’s pictures from the set of the film “The Man who Knew Infinity” (2015) alongside Jeremy Irons and Dev Patel. Breaking news – in May Richard will be filming and photographing the Cannes Film Festival.